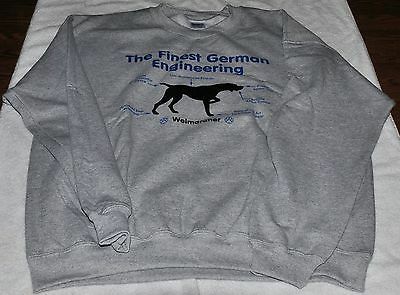 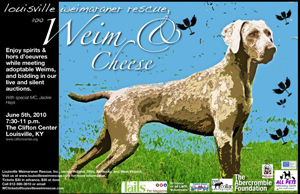 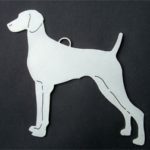 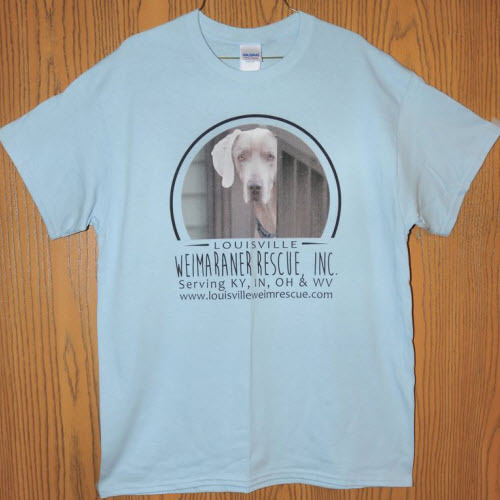 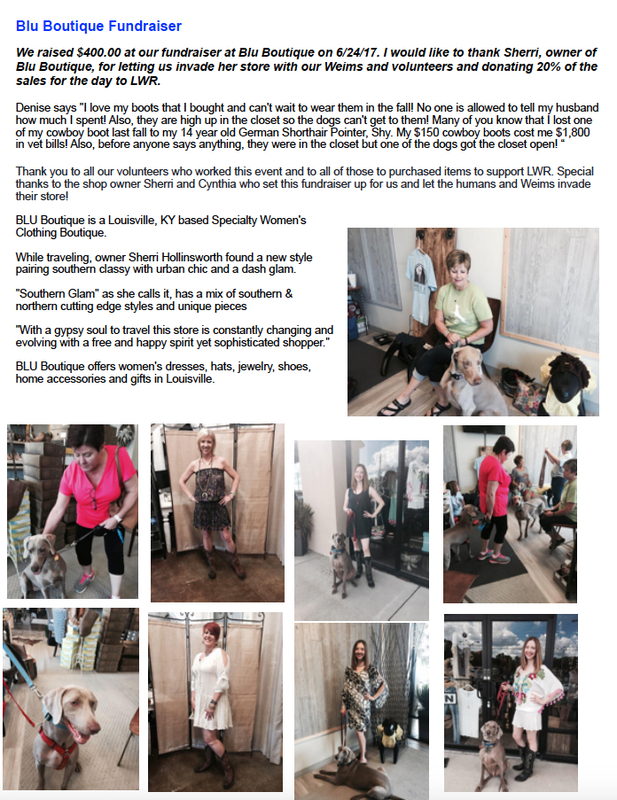 Products | Louisville Weimaraner Rescue Inc. 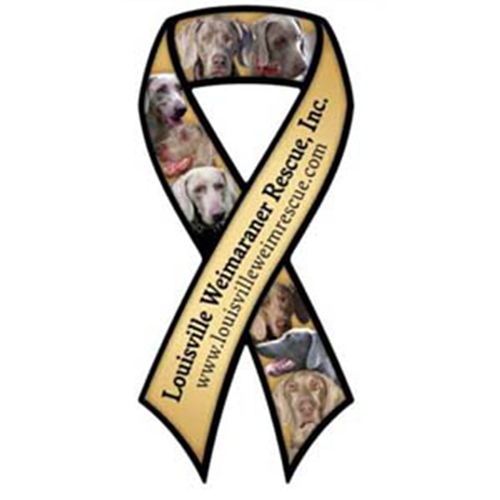 The entire LWR staff are unpaid and do what they do because they care for the breed of dog that we all love so much. 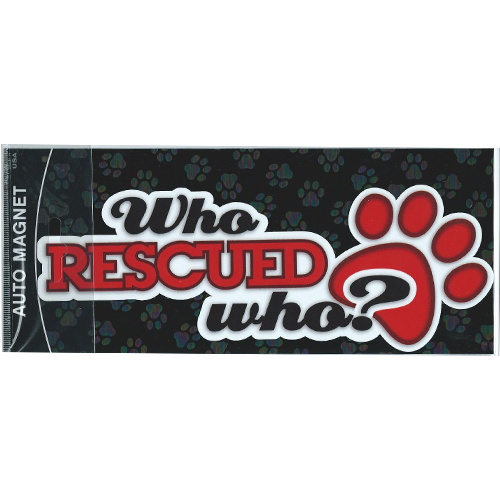 There are no salaries being written, but there are great continual needs of the organization. 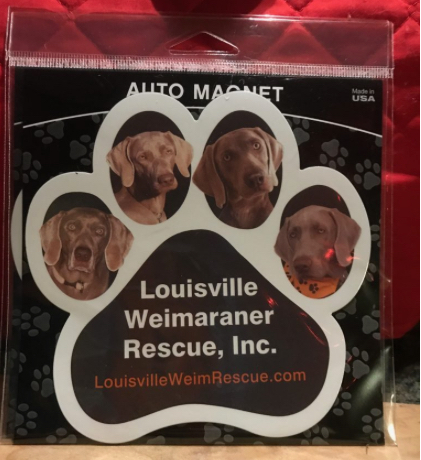 while a Weim is being found a new forever home. 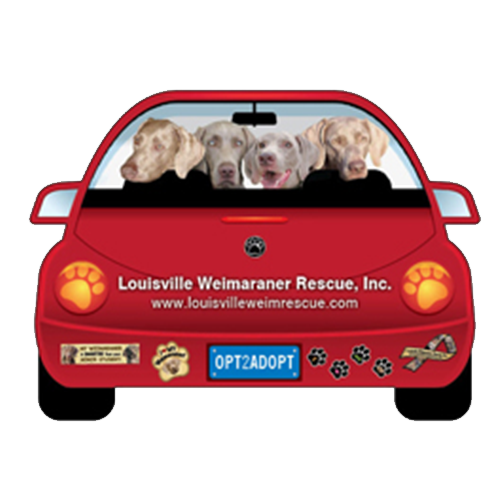 Unfortunately, there are many expenses involved in the pre-adoption process such as food, toys, medical or emergency care, insurance premiums, and ever-rising transportation costs. 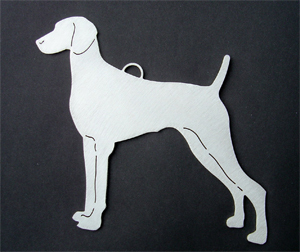 In any given month, these costs continue to only increase. 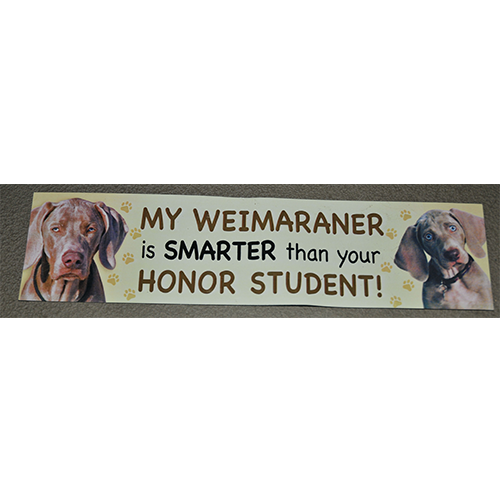 It is because of contributions like your own that we are able to do the many great things for Weims. 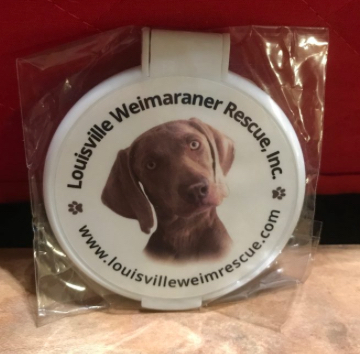 (Note: Please keep in mind that although convenient, Paypal does charge fees to the LWR organization for the ability to accept all types of online payments).